부산 롯데타운은 순수 국내 기술력으로 국내 최초로 건축허가를 획득한 초 고층 프로젝트다. 백화점, 플라자, 마트 등 초고층타워 4개 동으로 구성되 었고, 중앙로를 따라가는 긴 선형의 바다를 품은 듯한 형태의 저층부에는 구도심의 흐름 인용한 백화점과 플라자을 전면부에 배치하여, 수변부에 배 치한 기하학적 형태의 타워와 구도심 사이에 이질적인 요소를 완화한다. 중앙로와 남포동역 등을 거쳐 부산 롯데타운을 만나는 이용자들에게 백화 점 전면광장은 도심의 쉼터를 제공하며, 앞으로 건물 사이를 가로지르는 물길을 지나 공유수면 매립 후, 타워 전면의 해변공원으로 거듭날 수변 광 장을 만나게 될 것이다. 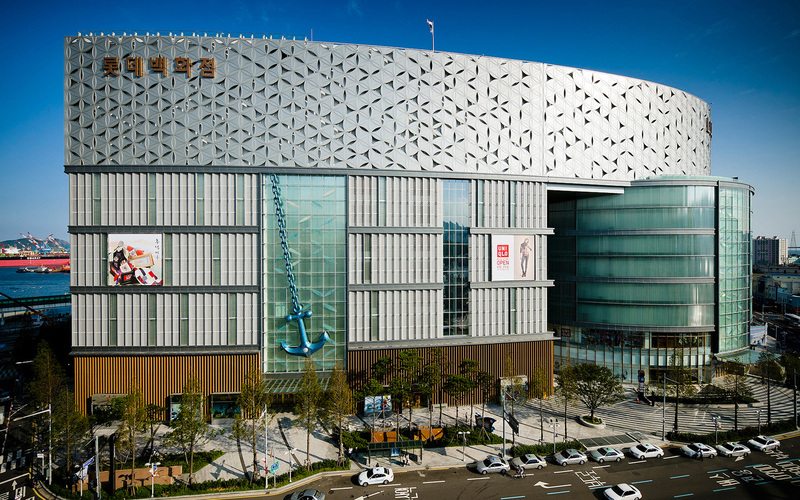 Began as a part of an urban planning project in 1994, Busan Lotte Town was the first skyscraper planned entirely by domestic resources. 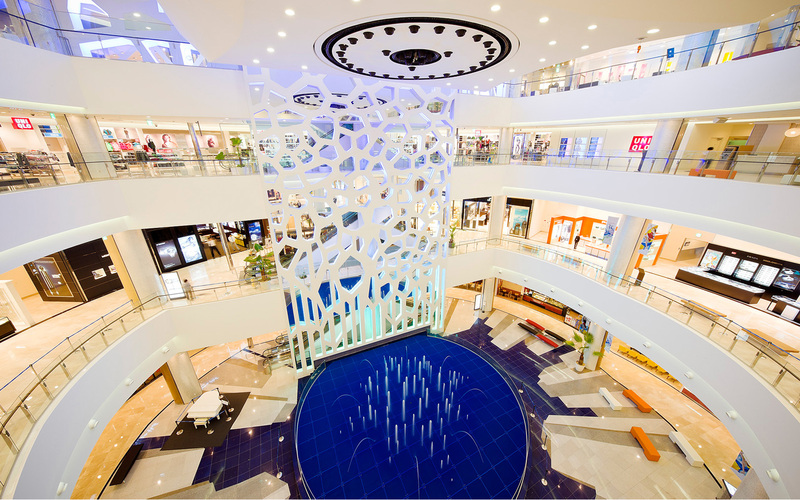 The complex has four buildings; department store, plaza, mart and the tower. 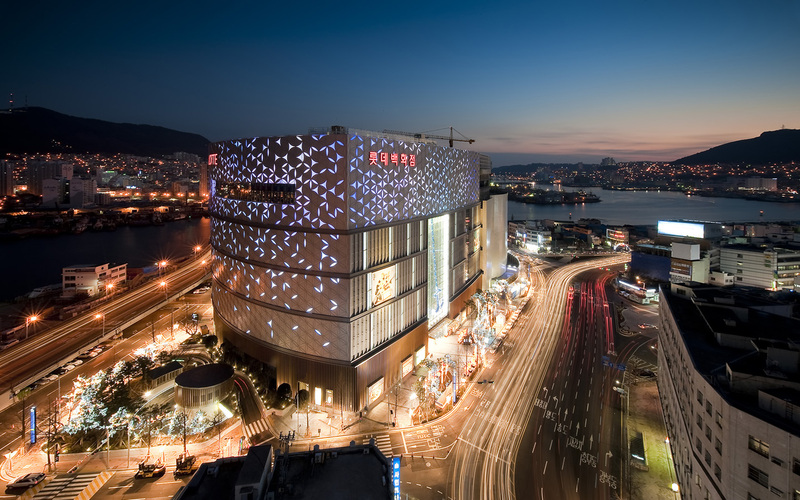 By placing the long, linear low-rise department store and plaza that borrows their expression from the context, along the Joongangro Street, the tension created by the geometric shape of the tower on the waterfront and the old downtown can be eased. 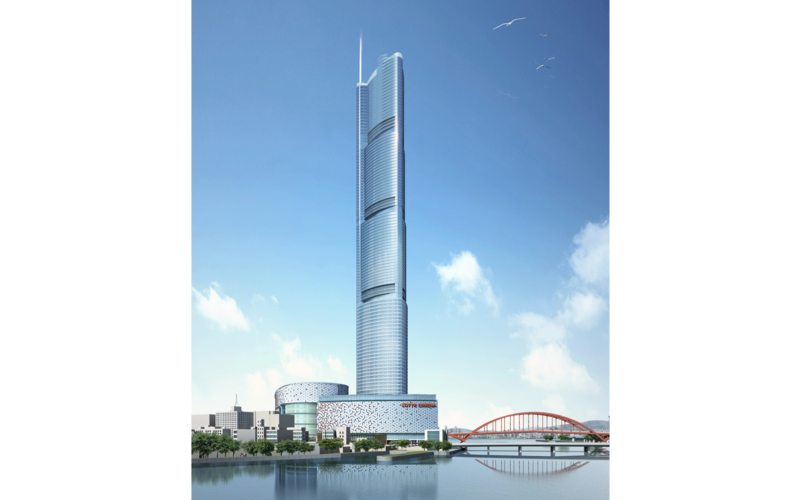 People traveling from Joongangro Street passing Nampodong Station will be able to rest their feet in the square in front of the department store and cross the water stream, a to-be added feature, come out to the waterfront square to be created in front of the tower after the landfill is complete.